Can Chapped, Cracked Feet and Hands Cause Long-Term Harm? In dry air, particularly during winter, it can be hard to keep hands and feet soft and supple. Dermatitis, ashy skin, or even dry, cracked hands and feet are all common skin conditions that can be triggered or worsened by a lack of humidity in the air. Dehydrated skin doesn’t just look unpleasant, it can feel itchy, painful, or even begin to bleed. If left untreated, it may even result in serious health problems. 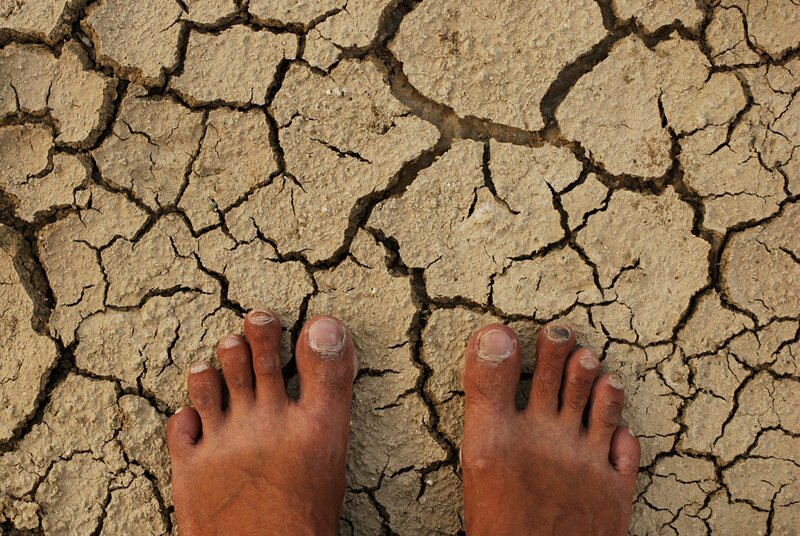 Fortunately, dry cracked feet and hands can be easily treated at home. Skin is normally protected by sebum, a natural oil that helps protect it and maintain its moisture levels. Some areas of the body, like the face, naturally produce more sebum than others. When skin is subjected to extreme conditions, it may lose moisture and become dehydrated. This causes the topmost layers of skin to dry out, die, and eventually flake off. Dry skin is usually caused by environmental situations, but it can occasionally be a result of diabetes, poor circulation, or a reaction to medication. Is dry skin dangerous in the long run? If skin dries out to the point of cracking, it can cause some long term problems. Skin serves as a barrier against bacteria and viruses; cracked feet and hands mean this barrier has been broken. If cracked, bleeding skin isn’t appropriately treated, it can become infected and allow bacteria to spread throughout the body. If cracked hands or feet are accompanied by hot, red, tender areas on the arms or legs, it’s important to visit a doctor promptly– these may be signs of a dangerous condition called cellulitis. How can cracked skin be prevented? The best way to prevent dry, cracked skin is by remembering to moisturize after showering or bathing. Soaking hands and feet allows them to absorb moisture, but also strips away some of their natural oils. This makes it important to use gentle, natural skin care products while bathing and to apply lotions or balms immediately afterward. These help skin retain moisture and stay soft, supple, and healthy. How can cracks be treated? Treatment is very similar to prevention, with a few subtle differences. It’s a good idea to visit an eco shop for natural products that help prevent infection, as well as seeking out extra-strength skin softeners. Cracked skin should be handled like any other wound– cleaned thoroughly, treated with an anti-infective, kept clean, and monitored for signs of infection. If properly treated, cracked feet and hands should heal without any long-term problems. Cracked skin isn’t just unsightly, it can be painful and even dangerous. Hands and feet come in contact with vast numbers of dangerous pathogens every day, and healthy skin is the only thing keeping them protected. When dry weather causes hands and feet to crack, natural skin products can help heal, soften, and prevent potentially dangerous infections.